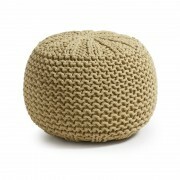 Oval pouf with cotton knitted cover. Not emovable. Polystyrene filler is included.